Many Finns might now know it, but the country's gambling sector is evolving into a unique model for other nations. For starters, Finland's state-directed gambling sector is highly successful. In an age when economists tend to downplay the role of nationalised industries, Veikkaus has managed to create an efficient, popular, and socially responsible role. It does help, that Finns are enthusiastic gamblers. The total revenue of the state monopoly now consisting of RAY, Veikkaus and Fintoto is a whooping 3,2 billion Euro per year, 340 million of which was from the national lottery. Just look at the UK, where the mounting losses of players on Fixed-Odds Betting Terminals at high street betting shops has led to knee-jerk legislation and conflict. Finland remains a place where you are unlikely to pass a physical casino. There are only 16 Veikkaus-managed locations across the country, compared with 140 in the UK (and 24 in London alone). So you'd think that slots are a minority interest. But you'd be wrong. That's because Veikkaus exists alongside a thriving online casino scene. This doesn't involve companies based in Finland. However, these types of Malta (EU) licenced casinos offers a Finnish site and Finnish customer service. And these casino operators are also referred to as a Finnish casino (suomalainen nettikasino) in everyday speech as well. The only difference is where the company is registered. The main operators are based in other EU countries, with Malta being particularly popular. The Mediterranean island now harbours hundreds of Finns, who work on Finnish content and help to market their companies to players back home or work in the customer support. It's a strange situation, and shows how the European Union has allowed multinational markets to co-exist with traditional state-led economies. But what does this mean for Finnish gambling in general? Can this balance of internationalised online casinos and domestic regulation really last or will Finland follow Sweden, that re-regulated the gambling market and lifted the monopoly in the beginning of 2019. The key thing to remember about the current situation is that online gambling officially remains a monopoly in Finland, but that hundreds of online casinos are operate via the European competition laws. This is the core issue facing online companies and the government going forward: how to reform the monopoly model to retain the good aspects (reliable bricks and mortar casinos, revenues for charity, strong licenses) and avoid either total liberalisation or prohibition. Supporters of online casinos are optimistic, but one serious issue remains. As a recent National Institute of Health and Welfare (THI) report found, the country has a challenge regarding problem gamblers. But perhaps online casino operator and the finnish state could help to curb the development. As in Sweden where there now is a national register, spelpaus.se, where you can block yourself from all gambling sites with a Swedish gambling license. There are at least 124 000 people with gambling problems in Finland. According to the lates stats form THL men are playing less, but women are catching up. Most of the problem gamblers are affected by online gambling. Finns lost 300 million to foreign online casinos last year. Finland isn't the kind of country to let people waste their lives or suffer unnecessarily, so the government will definitely act to help addicts. If the online casino community can work in tandem with the state to help screen problem gamblers, it should be able to emerge in a stronger position. In the process, we may well see a totally new national model - one where dynamic new online casinos operate responsibly while entertaining their audience, and where the social effects are taken seriously. If anywhere can achieve this, it's Finland. 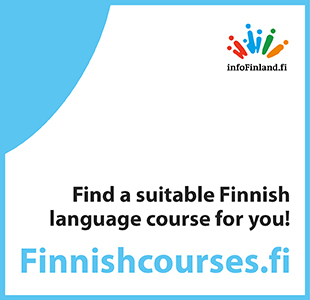 Helsinki Times is the very first leading English language publication in Finland established in 2007, covering Finland related news on daily basis. A weekly print edition of Helsinki Times was published from March 2007 up until Feb. 2015. At the moment Helsinki Times is an online only publication. Readers are mainly expats, diplomats and other international individuals, businesses and groups residing in Finland. Visitors are also tourists, individuals and businesses interested in Finland from all around the world.